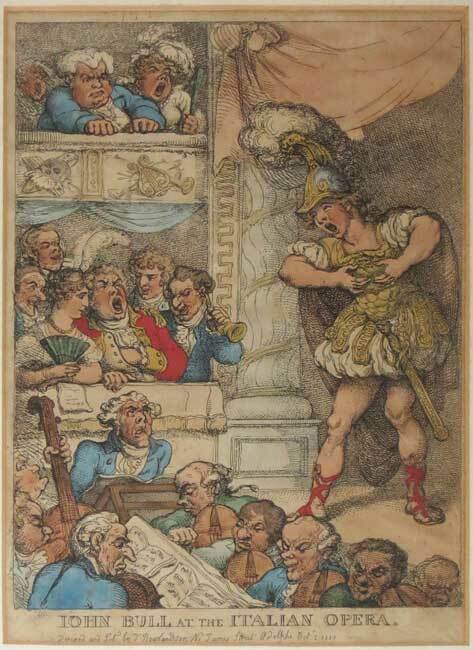 In this highly amusing scene John Bull is depicted attending a performance of the Italian Opera. He stoically attempts to concentrate whilst all around him are yawning, chatting and generally being inattentive to what's going on upon the stage. This is a glorious parody on the ridicule and occasional disdain with which the general public held Italian opera at the time.